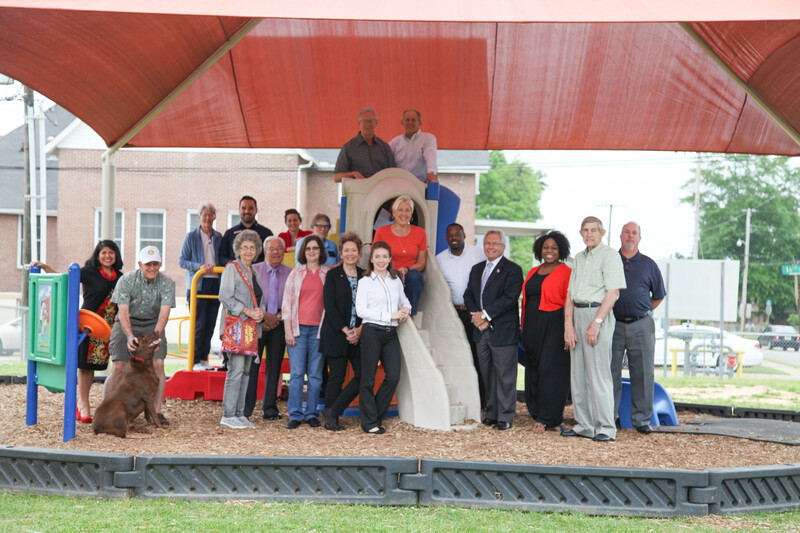 With the support and partnership of the Arkadelphia Sunrise Rotary Club, Peake Rosenwald installed a playground shade system on April 25. 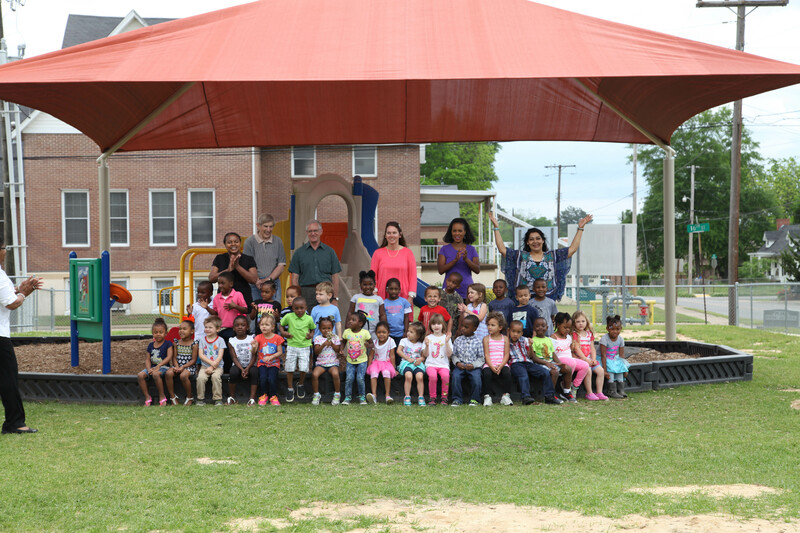 The structure encompasses the entire playground at Peake Rosenwald and measures 30 feet long, 30 feet wide and 8 feet high. The Sunrise Rotary Club met with Dr. Patricia Wright, director of special programs and Schools of the 21st century, to discuss the needs of Peake Rosenwald. Wright identified playground enhancement as Peake Rosenwald’s most pressing need. The Sunrise Rotary’s Service Projects Committee coordinated with Wright to help with the funding and installation of the shade structure. The Arkadelphia Sunrise Rotary is involved in the Imagination Library program, established by Dolly Parton in 2006. The goal of the Imagination Library program is to spark a love for reading among children by sending them a new book each month. This year, the Sunrise Rotary anticipates providing over 300 Clark County children under the age of five with children’s books. The Arkadelphia Sunrise Rotary Club has a long history of support for education in Arkadelphia. Arkadelphia Public Schools is proud of the rotary club’s commitment to helping our students reach their highest potential. For more information about the Arkadelphia Sunrise Rotary Club or Imagination Library, contact Scott Holsclaw at holsclaws@obu.edu.